Robert Taylor, Elisabeth Müller, Burl Ives et al. 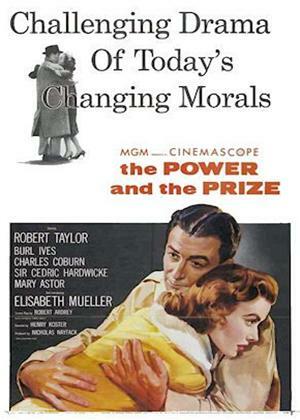 Based on a novel by Howard Swiggert, The Power and the Prize sets up a premise that had far more relevance in 1956 than it does today. Robert Taylor stars as a American business executive working in England. Taylor wants to marry European refugee Elizabeth Mueller, but is warned by his boss (Burl Ives) that such things just aren't done. Taylor digs in his heels, and at the end is supported in his marital decision by his less hidebound fellow executives.